The march for International Women’s Day. Photo Shaun Michaud. 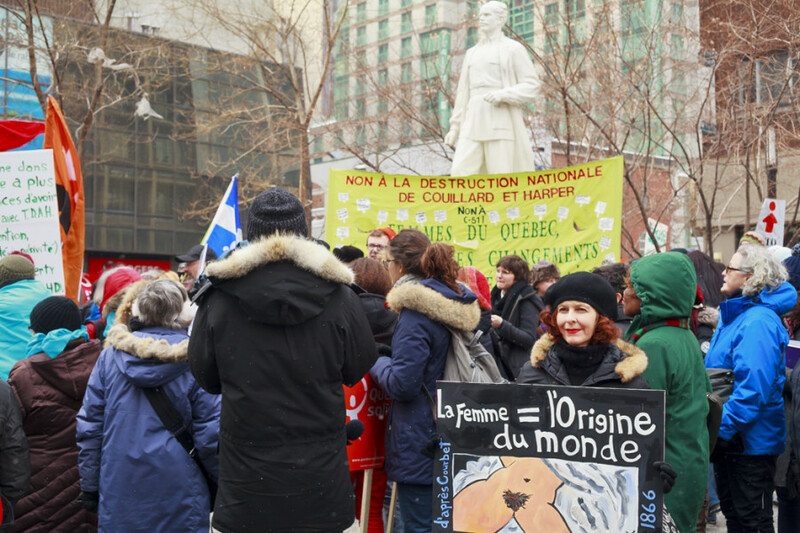 The sound of drums and passionate cries to action rang out Sunday, as around 100 demonstrators celebrated International Women’s Day in Norman Bethune Square. “We think that women have the right to equality, but we’re far from being there. There’s still a lot to do—the realities are very different from one country to another,” said Gaelle Russier of the Conseil des Montrealaises. Several members of the Federation des travailleurs et travailleuses du Québec were present. “I want to support women through the time of budget cuts. 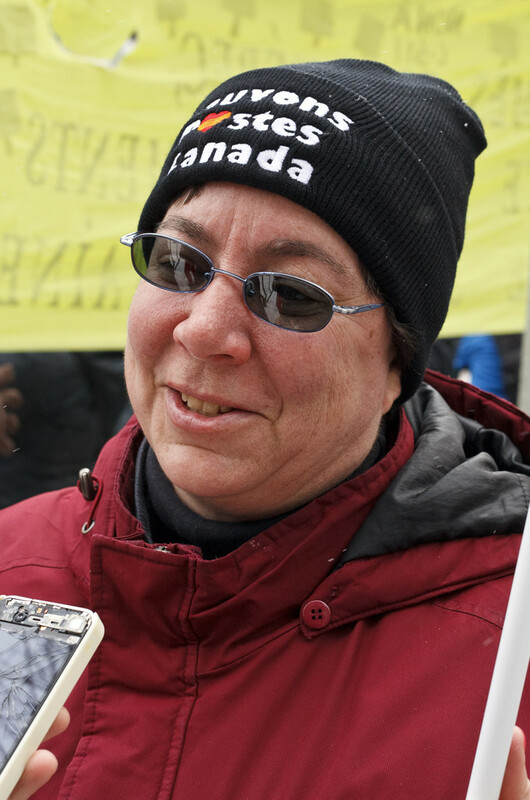 The cuts seriously affect women in terms of education and health,” Johanne Noel, a postal worker and member of the FTQ, told The Link. The protest was preceded by a forum, featuring speeches from prominent women on the 7th floor of the Hall Building. Speakers included Ellen Gabriel, known for being the official Mohawk spokesperson during the Oka Crisis, Leila Bdeir of the feminist group Collective of Muslim Women and a representative from the Immigrant Workers Centre. “It was amazing—they all had separate narratives but there was so much overlap as women who currently are struggling, whose ancestors struggled, and coming together [to examine] the way patriarchy works with capitalism and settler colonialism,” said organizer Dolores Chew of the South Asian Women’s Community Centre. “[It was] very moving and powerful—many of us were sitting, crying,” she said.